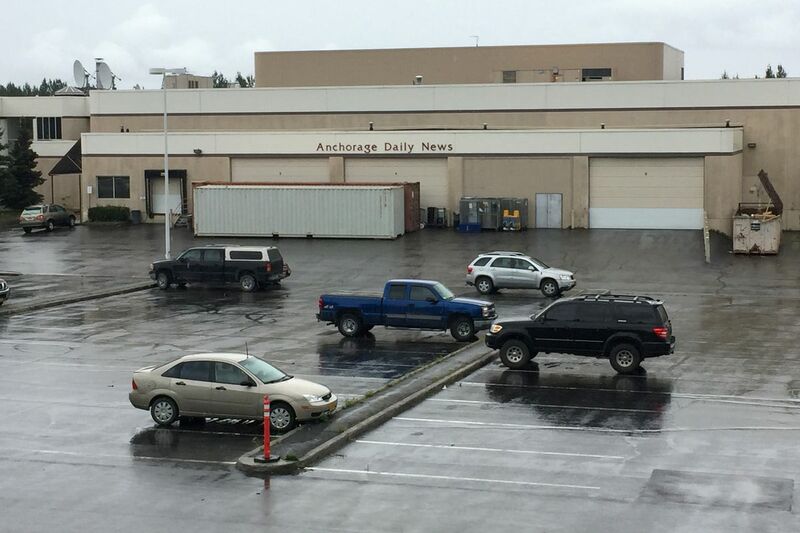 A new document filed in federal bankruptcy court Tuesday shows the dire financial situation at Alaska Dispatch News and how close the newspaper came to losing its print operations and shutting down entirely before new publishers emerged last week. The company filed for Chapter 11 bankruptcy protection on Saturday. Former publisher Alice Rogoff, through Alaska Dispatch News LLC, still owns the organization as it moves through the bankruptcy process. The company recorded net operating losses of $5.8 million in 2015, according to the court filing Tuesday. Ryan Binkley, now the co-publisher, told staff on Monday that the publication lost $4 million in the first six months of this year. The business is hemorrhaging roughly $125,000 in weekly losses, Rogoff said in a declaration to the court, and owes $2.5 million to a long list of vendors. Among other problems Rogoff listed in her filing was a $13 million personal loan from Northrim Bank that she used to help finance her purchase of the Anchorage Daily News and its building on Northway Drive in East Anchorage in 2014 from McClatchy Newspapers Inc. Rogoff said more than $10 million of that loan still remains unpaid, and she's pledged as security the money she receives from a marital settlement agreement with her financier husband, David Rubenstein. She didn't say how much money she receives from that agreement. Now Alaska Dispatch News "requires major restructuring," Rogoff said. The new publishers, Binkley and Jason Evans, have not said what this might mean in terms of possible layoffs or other cuts. Binkley had been in talks with Rogoff since April about his family's interest in the company. An eviction lawsuit from telecommunications company GCI to force removal of the printing press from the Daily News' former headquarters in East Anchorage propelled the potential sale forward. That lawsuit, which asserts the newspaper hasn't paid some rent and utility bills, was filed on Friday. 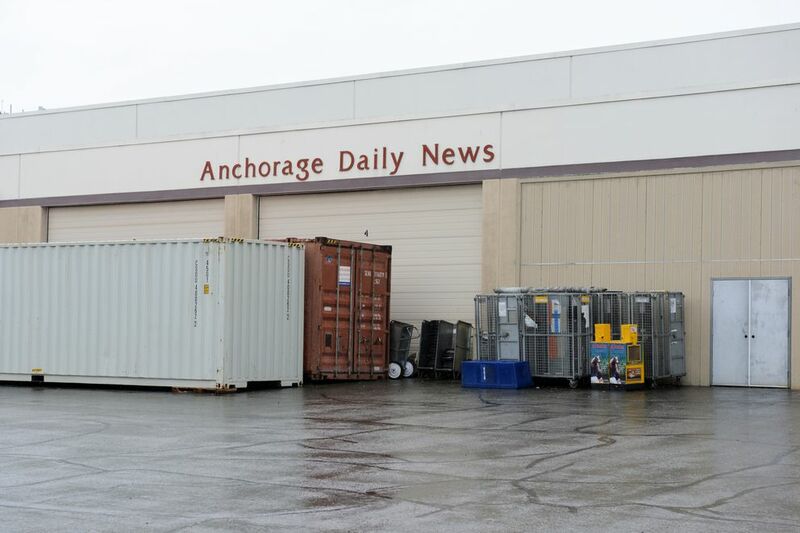 Operating losses and the potentially debilitating eviction put the newspaper "on the operational and financial brink," Alaska Dispatch News said in another court filing Tuesday. "Vacating the Northway plant would mean ceasing printing of the newspaper and would severely compound its current financial situation. The company has no other feasible printing options in the immediate term," Rogoff said in her declaration. "If the print newspaper were discontinued, the company would lose the bulk of its operating revenue. The company could not cover basic operating expenses and would be forced to cease operations." After the eviction filing, things moved quickly. "We couldn't come to an arrangement with Alice prior to bankruptcy, and then I think it was like Friday, maybe Thursday, we heard bankruptcy is pretty much the path," Evans told ADN staff on Monday. While adn.com has 4,000 digital-only subscribers, the company hasn't been able to maintain revenue as readers have shifted from print to online, according to bankruptcy documents. "Without a sale, there is little choice but to cease ADN's operations to the detriment of its subscribers, employees, advertisers, and the state of Alaska as a whole, due to a shutdown of ADN's print operation," Rogoff said in the court filing. A group led by Binkley and Evans is poised to buy the company for $1 million, according to a motion for the sale filed Tuesday, but that deal is not yet final. It is possible another buyer could enter the picture as the case works its way through bankruptcy court. Rogoff, who paid $34 million for the Daily News and its building in 2014 (the building was then sold to GCI), would get nothing in the sale, the documents said — the $1 million would be used to pay some debts and finance the operation going forward. "Obviously, this is not the outcome I would prefer, but the reason I agreed to these terms is that my primary desire is to see that the newspaper continue in operation. Also, there is a possibility that the final sale price may be higher than $1 million," Rogoff said. "From the time of the purchase, I was willing to operate ADN at an operating loss to both maintain robust journalism in Alaska and as an investment in the future of the company," Rogoff said in the filing. While the company invested in a new printing press and new publishing systems, its overall revenue from the newspaper still dropped, Rogoff told the court, "reflecting national trends in print readership and print advertising, and amplified by Alaska's current economic recession." Finding a new spot for a press has been a huge challenge and a significant financial point of pain, court filings show. ADN entered into a long-term lease with a company called Arctic Partners LLC for warehouse property at a site on Arctic Boulevard. But there were "complications and delays" in finishing improvements there, "with substantial cost overruns." That property now isn't ready for occupancy and the lease at the GCI building has expired, Rogoff said. Health insurance premiums for ADN employees and their dependents are also unpaid for July and August. Those monthly premiums are about $158,000. Premera Blue Cross, one of the company's biggest creditors for unsecured claims, won't cancel the insurance because of a deal that the paper will pay up mid-September, Rogoff said. "That's the first thing the new owner-operators are dealing with," said Jerry Grilly in a meeting with staff Monday. Grilly, the former Anchorage Daily News publisher, is a newspaper expert who is handling day-to-day operations at the paper as a consultant to the new publishers. ADN's print circulation has declined since the purchase in 2014, with annual losses of between 7 percent and 10 percent, Rogoff said. Since the 2014 purchase, Rogoff has "personally financed ADN's operations, cash shortfalls, and capital expenditures," she told the court. Her goal with the purchase "was to increase circulation, improve the online news site and increase coverage of state and local issues." But now, "personally financing the future operations of ADN in addition to the current personal guarantees is no longer feasible." Alaska Dispatch News has 212 employees, bankruptcy filings show: 58 in production, 52 in the newsroom, 49 in circulation, 31 in advertising and 22 others in finance, the publisher's office and information technology.